One of the finest resorts in Cape Cod, Peters Pond is situated along the shores of a beautiful spring-fed pond. Here, visitors can relax in our serene environment or participate in the many onsite activities, including softball, horseshoes, volleyball and bocce ball. Visitors can also enjoy the convenience of our onsite restaurant and country store. We invite you to spend the day at our on-site pond swimming at one of our two beaches, boating, or enjoy catch and release fishing. Or make a splash at our zero entry pool with water slide and special features. You don’t have to own an RV to enjoy Peters Pond –We also offer tent camping, vacation rentals and home sales for your convenience. What could be better than a night under the stars? Our campsites are the perfect place for you to get way from it all, yet still have a comfortable stay. Each of our RV sites provides the perfect combination of comfort and convenience to make your stay at Peters Pond a memorable one. Peters Pond is your home away from home. 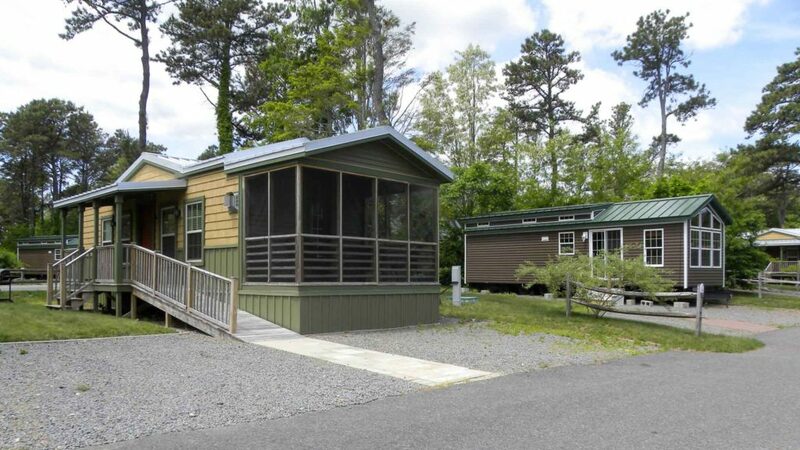 We offer vacation cottages with all the amenities you need for a comfortable, enjoyable stay. Tired of packing up the RV for every trip? Then become a seasonal guest at Peters Pond. Enjoy the flexibility to come and go as you please! Make Peters Pond your permanent vacation destination. We offer a variety of comfortable vacation homes to choose from. Looking for things to do and places to visit near Sandwich, MA? Check out these great local attractions and more!